Chocoholics rejoice! 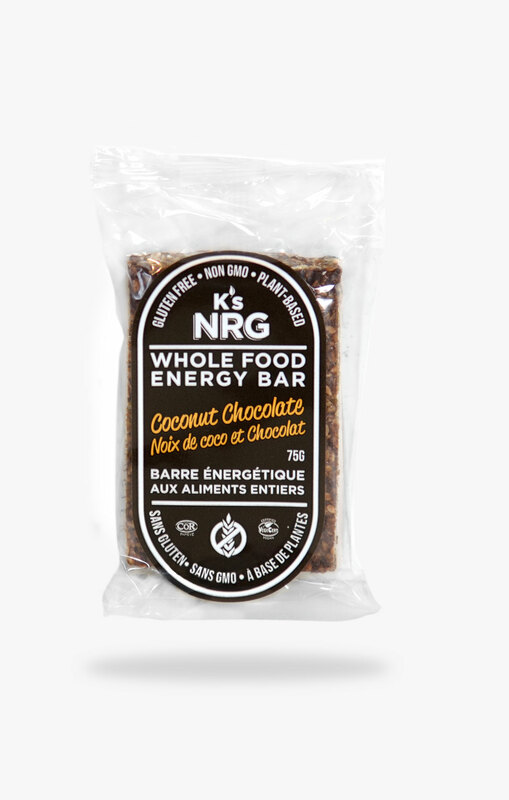 Our Coconut Chocolate K’s NRG bar variety transforms the delicious Original K’s NRG bar variety into a seemingly decadent yet health-benefitting bar, by packing high antioxidant 70% cocoa dark chocolate chunks with delicious unsweetened shredded coconut! Ingredients: molasses, pumpkin seeds, sesame seeds, brown rice syrup, ground almonds, oat flour, dark chocolate (organic evaporated cane juice, cocoa mass, cocoa butter, soy lecithin, ground vanilla beans) coconut, chia seeds, baking soda.